Can you trace your ancestry? My maternal great-great-grandfather came to Malaya from Swatow in China to work as a coolie at a godown, carrying gunny sacks of rice. 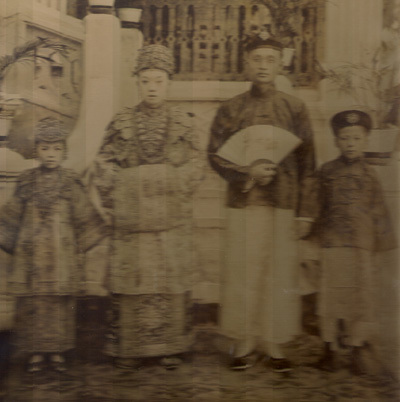 He put his son, my great-grandfather, into a Peranakan home to work as a servant. My great-grandfather, Ng Seo Buck, or NS Buck as he preferred, was very bright; he picked up languages and cultures easily. 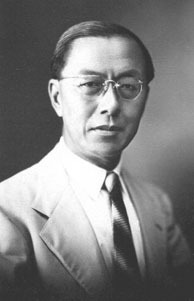 He learnt Malay in the Peranakan family and English in school, and in fact spoke English with a clipped British accent. He was so particular about speaking good English that whenever his grandchildren wrote letters to him, instead of replying, he would return their letters with grammar and spelling errors marked in red. He eventually became a teacher and [school head] at Kajang High School, and was temporary [school head] at Victoria Institution at one time. He also learnt Japanese and worked as an interpreter when the Japanese came. On my mum’s side, my great-grandmother and her parents came from Java to Singapore, bringing with them a lot of Javanese kebaya and beaded shoes. They integrated with the Peranakan in Singapore as they had similar languages and culture. The maternal influence is strong in Peranakan familes. 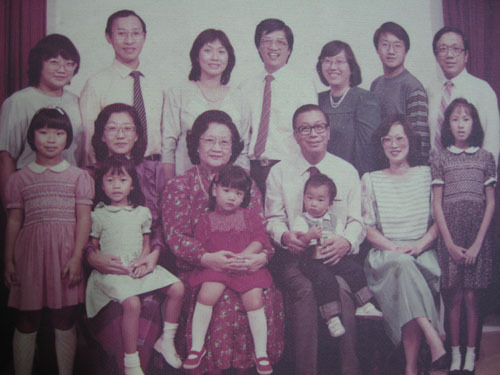 Our family is Peranakan due to my great-grandmother’s influence. We have never spoken Chinese as a family, and we’ve always worn kebaya. Even for Chinese New Year and Christmas, we eat nasi lemak and Peranakan food like sayur lodeh. On my dad’s side, they also came from China and they landed in Perak. They were involved with brick making and tin mining. My paternal grandfather was a police officer and became the Assistant Superintendent of Police (ASP) in Ipoh, quite rare in those days for a Chinese in public service. Are there any stories that you hold on to from your family? I thought I had to learn Chinese culture, listen to Chinese songs, learn the language. Later, I realised I didn’t need to push myself into a mould or be ashamed of not fitting a stereotype [that others imagined of the Chinese]. 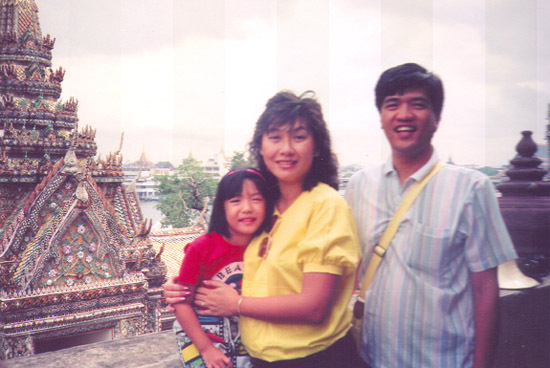 My family and I have lived all these years in Malaysia, and my identity is precisely that – it’s precisely Malaysian. I speak and dress Malay more comfortably than Chinese, and again, it’s not something I should be ashamed of because that’s who I am. That’s the beauty of it, we’re a multitude of different people. Just because you look a certain way doesn’t mean you must behave a certain way. I do celebrate Chinese New Year, but with a different flavour, a different lens. That’s how history is; culture changes with the times, or is interpreted and reinterpreted according to families and geographical location. The same is true about how Chinese I am. I wish Chinese [Malaysians] understood that there are different types of Chinese. Sometimes, they can be as culturally ethnocentric as the other races they criticise. How do you connect to these stories as a Malaysian? [My ancestors have a history of being open to possibilities and challenges.] One grandmother escaped to India during the war. Her father, a doctor, gave medical treatment to local Indians. They returned to Malaya with a love for Indian movies, music and food. My grandfather escaped to China by trekking from Hong Kong to Chungking, passing through Kunming, Shanghai and Burma and doing odd-jobs. One of my great-grandfathers was a Chinese Kapitan (head of the Chinese clan) who travelled from Fuchien, China to Labuan and then to Malaya. There’s always been this fighter spirit in my family. New cultures, new languages have never been a problem. Hopefully, I have inherited the fighter spirit, too. I appreciate the different journeys my ancestors took to get me where I am, to get us here. It makes me more aware of how I lend my time and my life into this part of history. Especially in a Malaysia which is [struggling at a crossroads]. Describe the kind of Malaysia you would like for yourself and for future generations. I feel that as children, we’re born into a country which is so rich with beautiful things. Your teachers tell you good things about the country in moral or religious classes. You have co-curricular activities with different races. This was my experience, there were no problems. And then, children grow up, and at university or pre-university, thoughts suddenly creep in about how we’re treated unequally. And then, to be dramatic about it, the torrent of dirt just descends upon them as they become exposed to the realities of Malaysia. They realise that there are things not right with the country. And it is that moment of awakening which is the saddest part of someone’s life. Everything you’ve been taught is challenged. I want a day where that moment of rude awakening doesn’t happen, whatever race, religion or socioeconomic background you come from. I would like to see a Malaysia where everyone can continue feeling fully accepted as 100% Malaysian based on their citizenship.